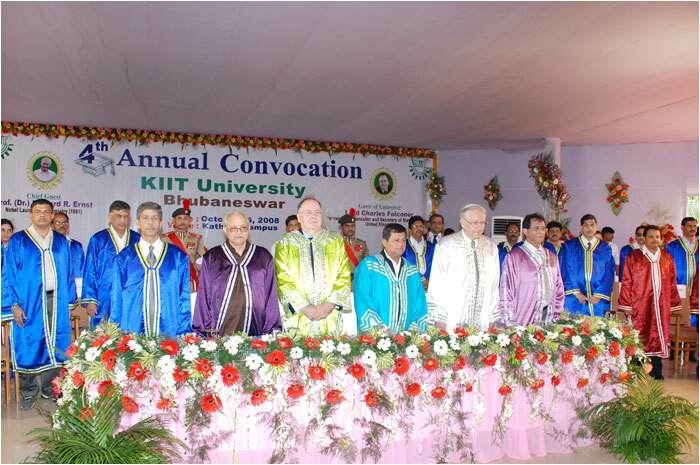 “KIIT radiates positive attitude, serves country, Orissa and beyond” It was a once in a lifetime occasion for 1,364 graduates of 2008 batch of KIIT to receive degrees and diplomas at the university’s Fourth Annual Convocation and draw from the wisdom of Prof. Richard R. Ernst, Nobel Laureate in Chemistry, 1991, Switzerland and Lord Charles Falconer, Former Lord Chancellor and Secretary of State for Justice, United Kingdom. 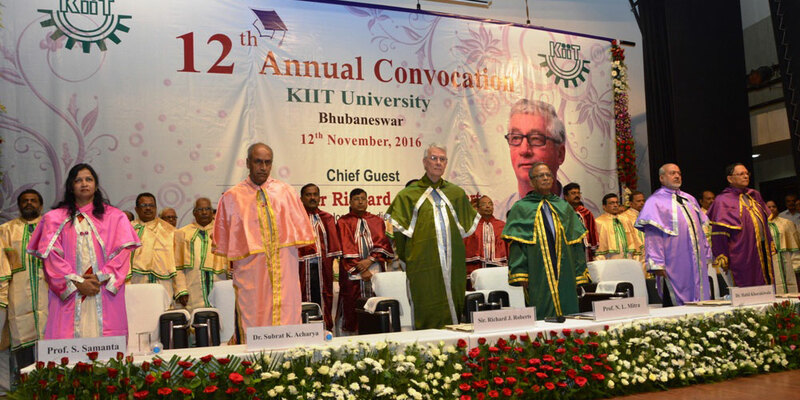 KIIT also conferred Honorary D.Sc. 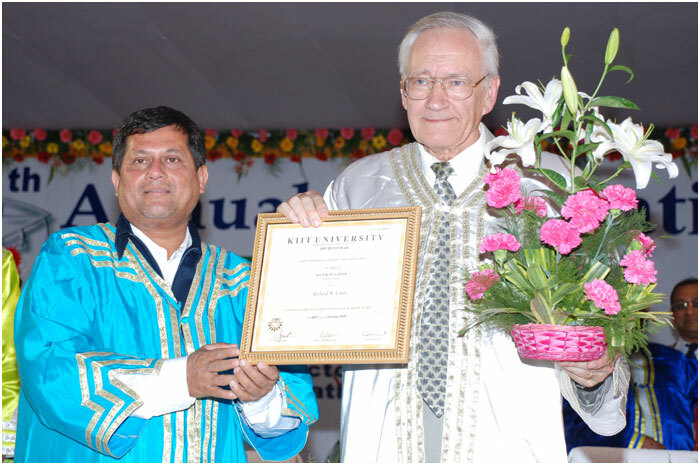 on Prof. Richard R. Ernst, a world famous scientist who won Nobel Prize for his groundbreaking research in NMR spectroscopy. 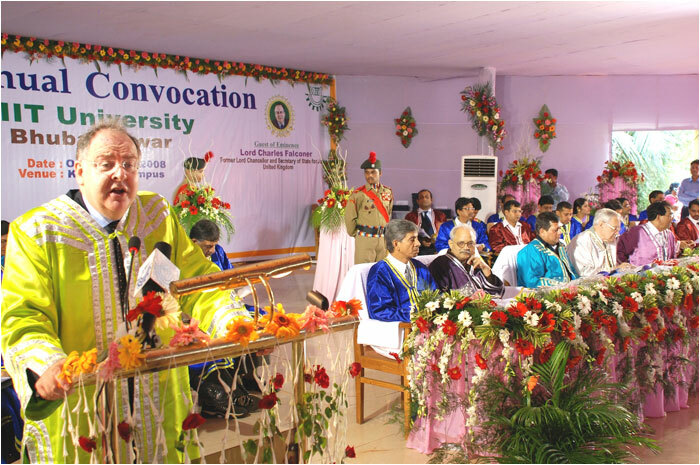 Delivering the convocation address entitled ‘Let’s contribute towards a better future for all’, Prof. Ernst asked the graduating students to be guided by virtues of wisdom and compassion. 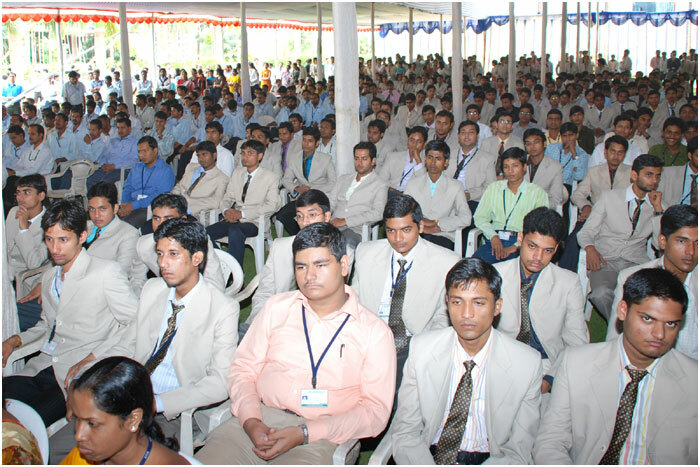 He offered graduates advise to start contributing effectively towards a better future for all, while saying that it is an important target in the light of appalling poverty in the country. 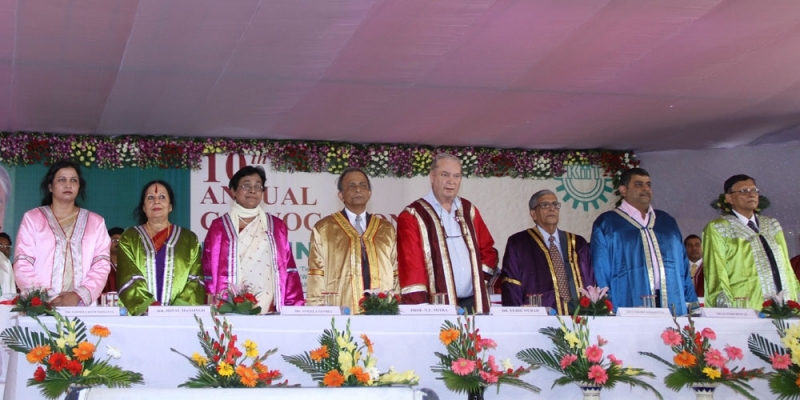 “KIIT is an institution that truly serves the country and its people in Orissa and beyond”, the Nobel Laureate said, adding that the institution radiates a lot of positive attitude. 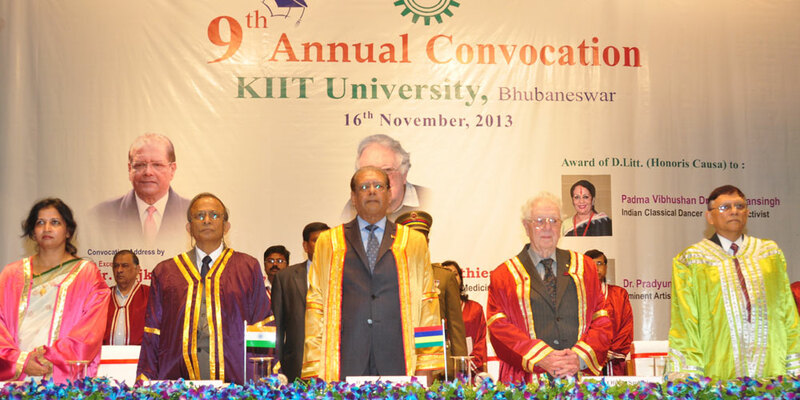 Even as the economic crisis grips the world, the overall trend is that of a growth in commerce and activity, said Lord Charles Falconer in his address at the 4th Annual Convocation Ceremony of KIIT . 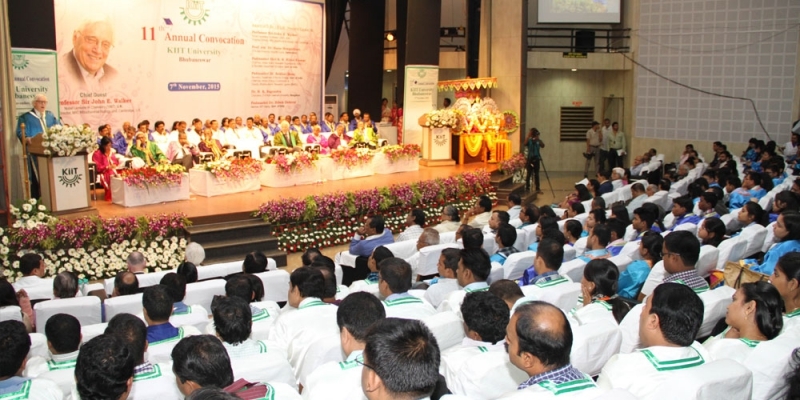 However, we must ensure that the fruits of growth are shared by as many people as possible in order for this growth to be fair. 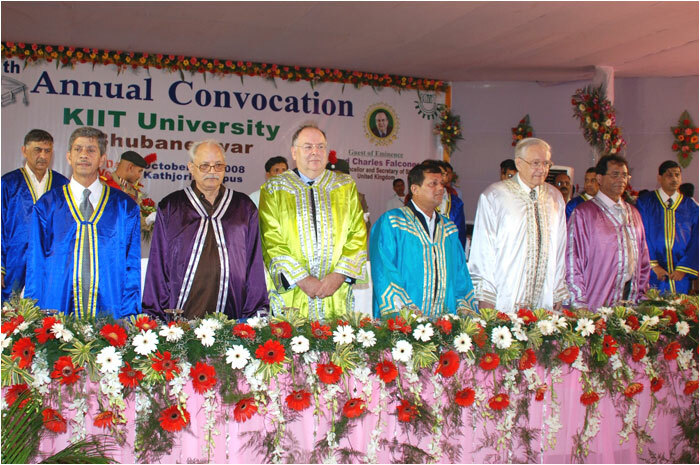 Education and rule of law can only deliver the twin objectives of growth with fairness, stressed Lord Falconer, who is known worldwide for taking the courageous step of ending the office of Lord Chancellor in United Kingdom, thus breaking a 1400 years old tradition. 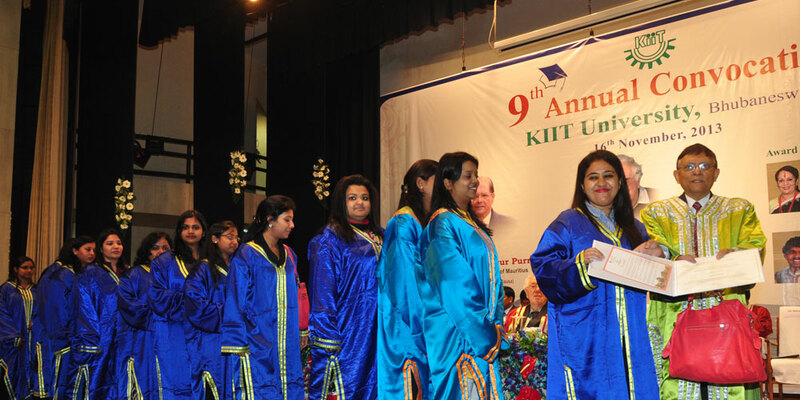 KIIT and KISS together presents a fine example of how challenge thrown by poverty and underdevelopment can be approached in the current global culture, he added. 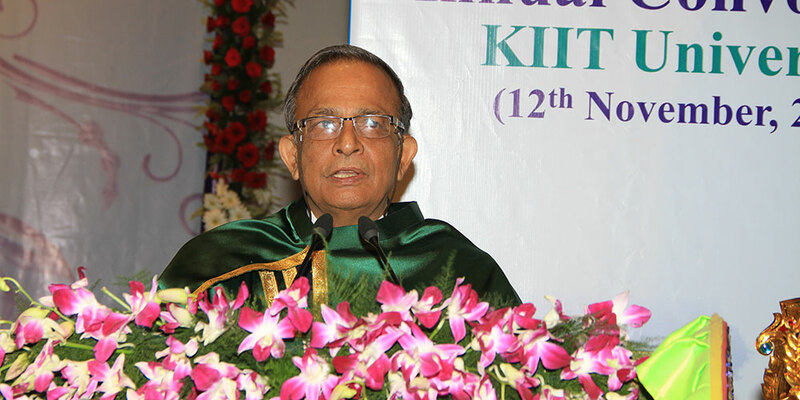 Dr. A. Samanta, Founder Chancellor of KIIT , in his presidential address, reminded the young graduates of their responsibilities of educating others and eradicating poverty. 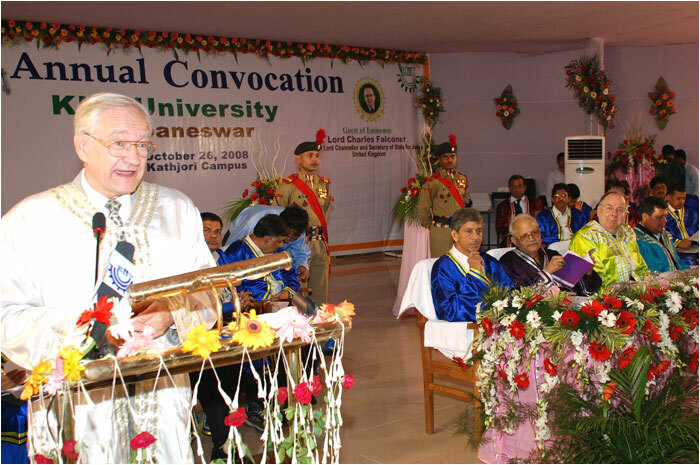 “The time has come when you should give back a little of what you have received to the society”, he told the degree and diploma recipients. 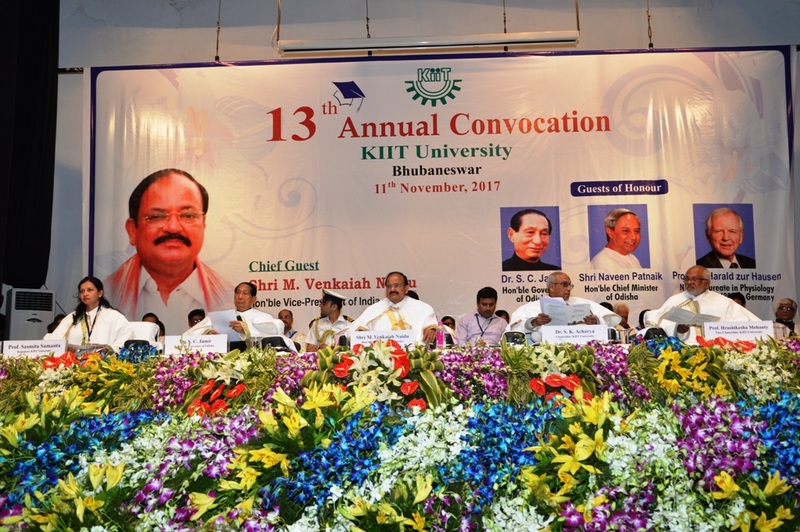 Referring to Kalinga Institute of Social Sciences (KISS), a sister concern of KIIT and home for 10,000 tribal children, he said that giving education to an underprivileged is equivalent to giving sight to a blind. 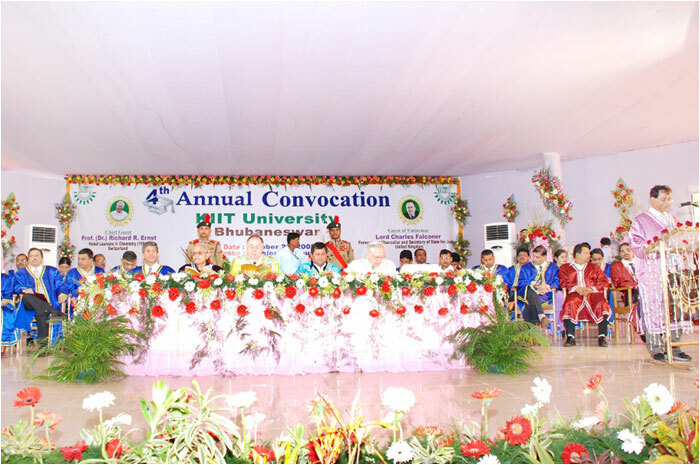 Prof. S. C. De Sarkar, Vice Chancellor outlined the achievements of the university in the preceding year in his report. 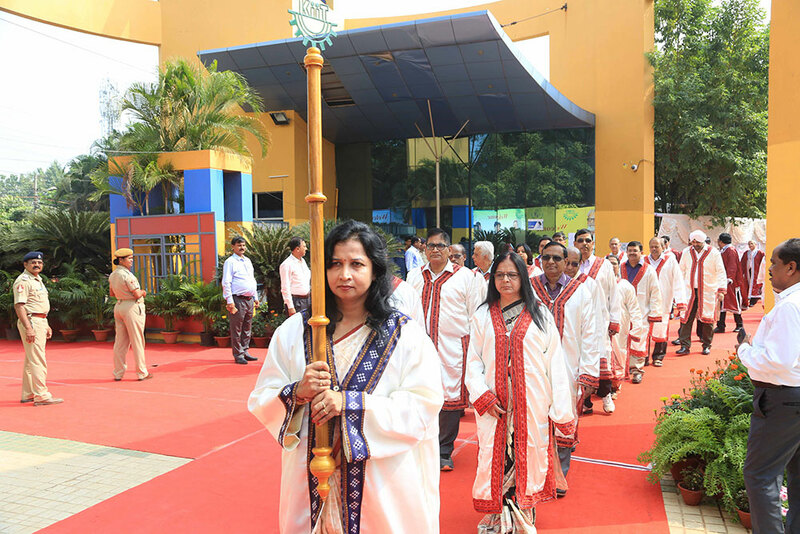 Total 1364 students received degrees and diplomas at the third convocation, including 746 from BTech, 212 from MCA, 308 from MBA, seven from MBA (Executive), 39 from PGDBIM and 50 from MTech. 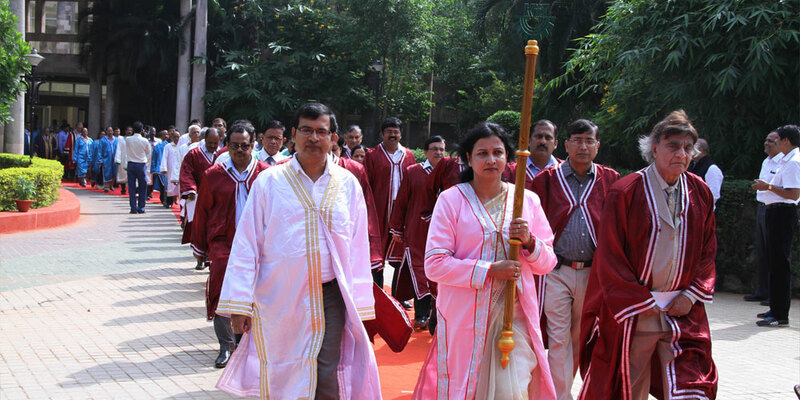 Shri A. K. Rath, IAS, Secretary, School Education & Literacy, Ministry of HRD, Govt of India & Ms. Sasmita Samanta, Director Admissions (KIIT ) were awarded Ph.D. 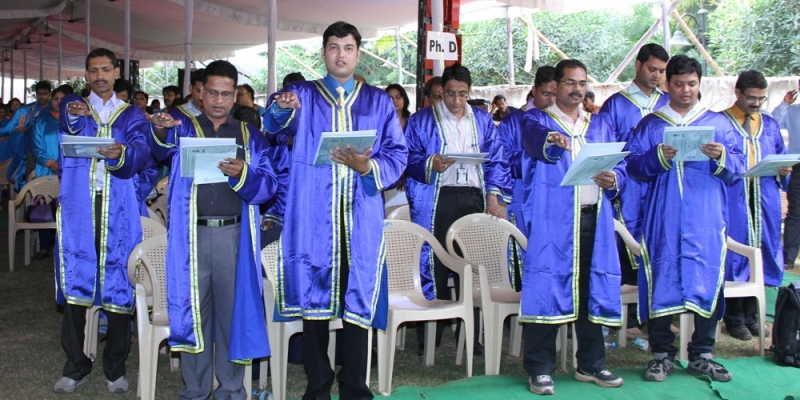 Degrees for the first time in the university’s history. 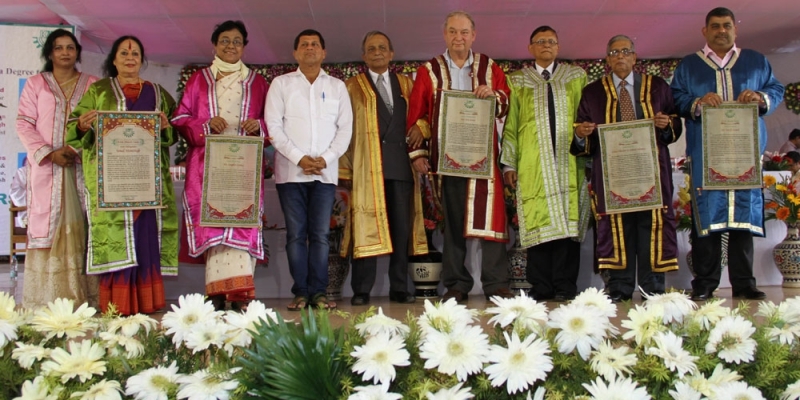 Ajitay Sahoo (B.Tech, IT), Chittaranjan Pradhan (MTech, CSE), Nidhi Sinha (MCA), Majeti Harish (MBA) and Ruchi Agarwal (MBA) received Chancellor’s Gold Medal for securing highest academic scores in respective disciplines. 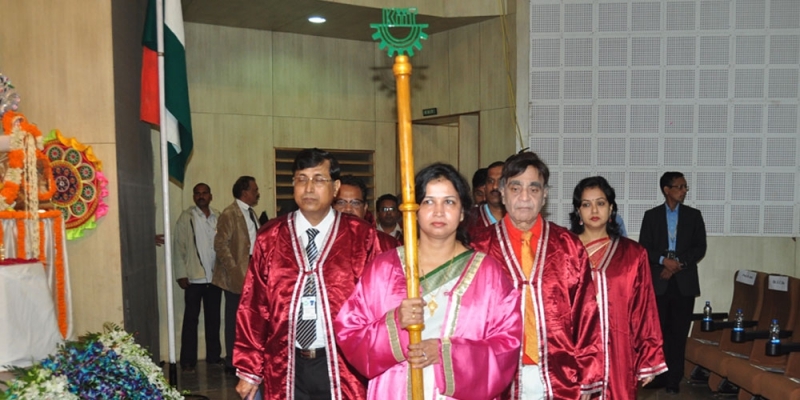 G. Jyotishree bagged P. K. Bal Memorial Gold Medal for Best All-rounder in MBA. 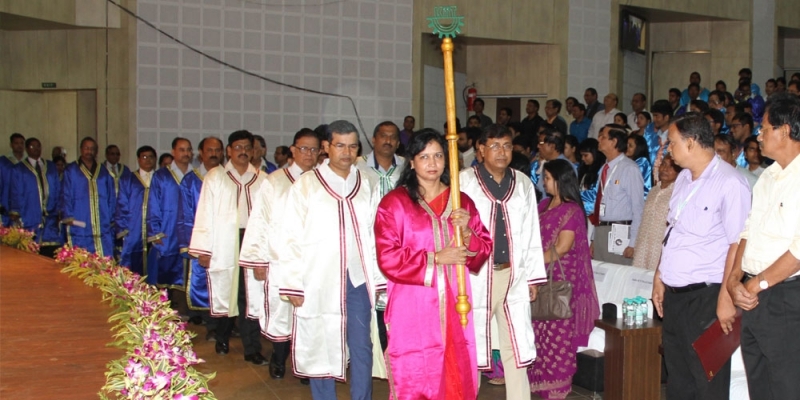 Similarly, PPL Gold Medal for best student in MBA with Marketing Specialization was won by Rashmi Roy. 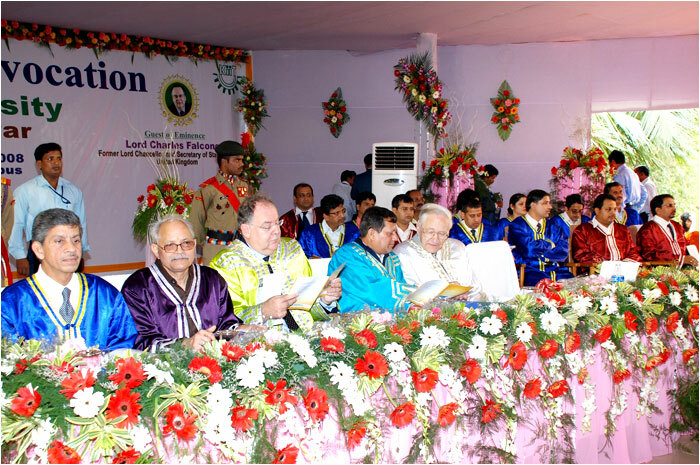 Ten achievers were awarded Vice Chancellor’s Silver Medal and four faculty silver medal.